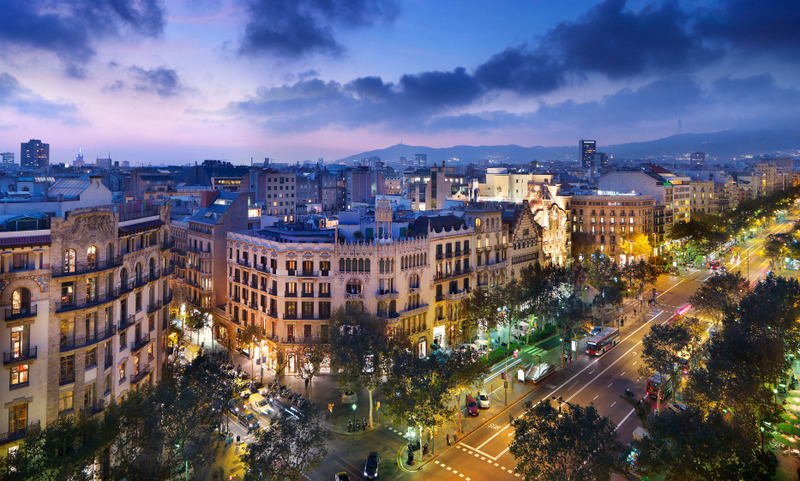 The Mandarin Oriental group have a knack of placing themselves right at the heart of luxurious shopping districts, and their Barcelona hotel is no different. Located on the swanky Passeig de Gràcia, right at the heart of the Quadrat d’Or, the Mandarin Oriental Barcelona's location is ideal to admire the work of Modernista architects, including Antoni Gaudí’s masterpieces ( look out the window for views of his famed Casa Batlló.) The Mandarin Oriental Barcelona' aesthetic mirrors the neighborhood’s cultural mood, offering signature opulence with very modern design nods: rooms are a study in neutral sophistication, with pops of color – chartreuse, fuschia – that ring true to the hotel’s brand. Amazing views from the pool on the rooftop of the hotel. Great! This hotel became one of my favorite hotel all over the world. If I have a chance to visit Barcelona, I want to stay this hotel again. A very pleasant hotel, well located with friendly staff. Kindness and quality at all levels characterize this hotel. It is a very nice experience. We are determined to experiment with other hotels from the Mandarin Oriental chain.